Who is the AEGEE member of the year 2017? Which antenna, which project was the best? What were the highlights of the year? And what will 2018 bring? The Golden Times asked more than 70 locally or Europeanly active members. Over the next two weeks you can see what they answered. In this second edition: read what Zvonimir Canjuga, Viola Bianchetti, Natalia Klimenko, Dominic Dimian, Álvaro González Pérez and Lila Quaile said. 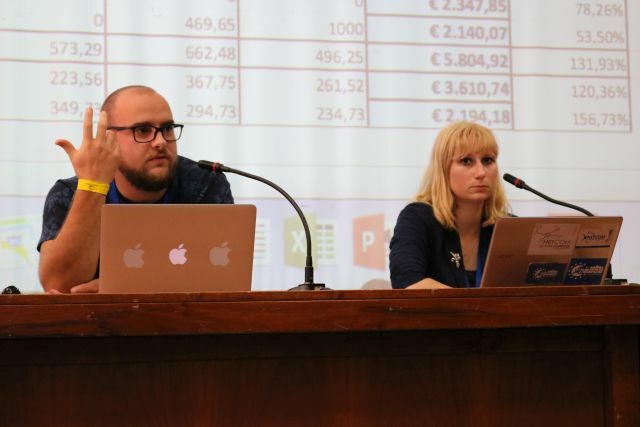 Zvonimir Canjuga: Well, I would highlight two things: successfully finishing my term as Financial Director of AEGEE-Europe, and being elected alongside Tekla Hajdu as Vice Chairperson of the Spring and Autumn Agoras 2018. Again I would like to mention two situations, one good and one bad. Let me start with the good one. As most outstanding and emotionally most challenging moment I find “CD on Track” with the stop at the European Planning Meeting in Zagreb. CD on Track was for our CD54 logistically quite complicated and time-consuming. As Tekla, Réka and I were traveling and talking with locals, we were also doing our daily work required by our functions; I also need to thank Joanna, Kasia, Lia and Maarten, who stayed in Brussels in order to maintain the work that was necessary. And in the middle of this trip we had the EPM Zagreb, which has special place in my AEGEE life and was organized magnificently by my local AEGEE-Zagreb. I will remember that event and project for my whole life, and be forever grateful to the organizing team. So what about the bad moment? I need to mention a situation that happened during Agora Enschede; a toxic atmosphere that was on purpose created by a few people that were sharing the same interest. I was at that point quite embarrassed, as we saw the questions below the belt and human decency, campaigns against the candidates and not for the candidate and programmes. It made me feel quite uncomfortable looking at all this playing out, because nobody left that situation as a winner. The people that caused it were publicly addressed, and now you cannot see them anywhere being active anymore in AEGEE. We experienced members were shocked and powerless, and new members got a quite awful first time on an Agora. I guess we are practicing democracy like any other system, it has nice sides, but it can be awful and cruel. I won’t mention three but only one: Réka Salamon. I would follow her anywhere if we had the chance to work again together. In over three years of friendship and one year of working together, I didn’t see anyone in our organization as devoted, hardworking and detailed in her work. Of course, not all moves were right or played out well, but that is a small and irrelevant number when you consider what positive effect her work had on AEGEE. Because of her work on project management field, we don’t even realise how much project management knowledge and experience was accumulated with projects such as Europe on Track and GREAT, and even after her term the results of her hard work could be seen in recent projects. I would like to mention the three antennae that organized statutory events in 2017: AEGEE-Zagreb, AEGEE-Enschede and AEGEE-Catania. They took the hardest challenge of organizing the statutory events, which is quite hard considering our complicated needs, a system that is quite fixed and unable to adjust to locals needs. They still did an amazing work! The obvious choice would be Europe on Track, but it is sort of given considering how our thematic work was relatively weak, not just in 2017, but in several years back. Therefore I would like to mention the Events Quality Assurance Committee, as they did fantastic progress in that field and increased the level of quality and work in their field. We often do ignore people working in the organisational level of AEGEE, although those carry an insane amount of work, and don’t receiving any prize and the visibility they deserve. I would like to see more work in the Youth Development field. It is the topic where the money is, both in European institutions and also in private sector. There are tons of possibilities to develop projects and properly finance them, but again we got stuck in our little AEGEE bubble, doing things far away from what the topic is actually about and giving our members a poor level of learning opportunities. Firstly, I would like to give my best work in co-chairing both of our Agoras, and organize the general assembly of Les Anciens in May. At the closing plenary of Agora Istanbul I will most probably announce my retirement from active involvement in AEGEE. I am quite busy with my exams in this moment, so I didn’t think what should I do or where should I go for New Year. If somebody has some plans let me know! Viola Bianchetti: As I am terrible in taking decisions, I choose two. The first one is when I presented my candidature as Working Group Coordinator at Agora Enschede. I am not the kind of person who loves being in the spotlight, and speaking in front of the plenary was a big challenge for me, but in the end I felt quite proud of myself. The second is the live meeting of the Equal Rights Working Group, which took place in September in Brussels. I was overwhelmed by the enthusiasm and motivation of the whole team and I incredibly enjoyed exchanging ideas and opinions with them. I immediately understood that I had found not only seven committed and experienced colleagues, but also a sincere group of friends. Even though it is very tough to choose only one person, I would say María Ballesteros Melero. She has done an amazing job in organizing the opening conference of Europe on Track and she has been constantly active on several levels, not last her involvement in the Gender Equality Interest Group. Now as CD member she is working even harder than before, and I can just say I could not imagine a better CD appointed person for my Working Group. I was very impressed by AEGEE-Catania. Not only the organization of the Agora was really good, but they showed an amazing team spirit and an unbeatable friendliness. Thank you for demonstrating that also in Italy great things can happen! As for projects, I am biased but I will still mention Your Vision for EUrope. Even though we had to reduce our ambitions due to some problems with fundraising, we were still successful in carrying out many small but meaningful actions. And Faces of Europe won the National Charlemagne Youth Prize for Romania, let’s not forget that! Coming to Interest Groups, finally the hard work of the Society and Environment Interest Group is bringing great results, and I am very glad to see that. Not only Europe on Track team chose Sustainability and Climate Change as its topic for 2018, also NWM Passau was a very good example of an AEGEE event on sustainability, meaning not only including workshops in the programme, but also giving particular attention to sustainable practices in the organization of the event itself. This is an extremely relevant topic and I would like to see it more and more present in AEGEE! Recently I see more and more diversity in terms of thematic topics in AEGEE – equal rights and sustainability are two good examples – and I hope that this trend will continue, as it makes AEGEE more interesting and diverse. Regarding organizational topics, I hope we will continue talking about the Agora reform and reform of the planning cycle in AEGEE, hopefully coming up with solutions which are acceptable for most of us. I still don’t know what I will do after my term as Working Group Coordinator, there are still too many exciting things to do in AEGEE! Natalia Klimenko: You know, in Russia we have a saying: “You will spend the year with the people you celebrate it with”. As New Year’s event organizer, I celebrated the beginning of 2017 with AEGEE. And this became 100% true for me: AEGEE gradually evolved into an important part of my life. I became active on the European level – first as editor for the Key to Europe, then as European Citizenship WG member, and as for the Highlight: presenting the EPM Topic on stage at Agora Catania together with Marlène Rene was something I could not imagine when I joined AEGEE in April 2016. I am very grateful to the network for having given us this opportunity. Definitely Agora Catania! It was the first Agora for me and I was amazed. I truly enjoyed the opening ceremony when AEGEEans caught the vibes and joined traditional Sicilian dances on stage. Another symbolic highlight for me was when we all together formed “AEGEE” in the courtyard during the AEGEE-Fair. Álvaro González, the European Citizenship Working Group Coordinator, for his true leadership skills, daily support and understanding; Marlène Rene, for the wonderful work she has been doing for Eastern Partnership Initiative and for her support; and Maria Smirnova from AEGEE-Moskva, for coordinating the European Day of Languages in Moscow, being a board member, former YMWG Policy Officer and now ACTie – but first of all for giving me the idea of joining a working group back in June! For me, AEGEE-Groningen and AEGEE-Sankt-Peterburg. AEGEE-Groningen organized a really outstanding Summer University. Their topic was “Unity through Diversity” and I think it perfectly corresponds with AEGEE’s objectives. In both interactive and academic-style ways they taught us so many things about the Netherlands we would hardly have discovered otherwise, and taking us to places I would probably never visit on my own, like a seal rescue centre or the bottom of the sea. I also proudly highlight my neighbours from AEGEE-Sankt-Peterburg, who organized a perfect NWM with a perfect timeline, great atmosphere, awesome trainers, delicious food and city tours that showed the gem of the Russian crown to our friends from all over the network. I’ll mention three: the Politics Interest Group, which is very young but fast gaining recognition across the network; the Civic Education Working Group, which managed to get its Policy Paper through to EU officials in the Economic and Social Committee at a conference I attended as well – an immense success to my mind; and lastly, my dear European Citizenship Working Group. We are very enthusiastic and working daily on different projects to bring Europe’s youth just a bit closer to each other. The ECWG is definitely what I have always searched for in AEGEE. Of course environmental problems, because it is the topic of Europe on Track, but also politics and the way Europe is going to develop. On one hand, there are going to be important elections in several countries of the continent; on the other hand, AEGEE will be preparing harder than even for European elections of 2019. First and foremost, completing the task of EPM Content Manager in Yerevan with dignity! Indeed, since I am graduating in 2018 and my life is going to change a lot, my AEGEE plans also depend on the place where I will end up doing my Master’s. But anyway I will go on being active on the European level – hopefully challenging myself for something new and contaging more people with enthusiasm for Europe! Dominic Dimian: My personal AEGEE highlight in 2017 was the EPM Zagreb where I served as a helper. It was a great experience to work with such a great team and people that I love. The first is the EPM Zagreb, probably the moment all the organisers and helpers were on stage and we knew “We did it, and we did it well!” Second is probably the local Agora of AEGEE-Passau where I handed over my position in the local board to the next generation to leave to Budapest for my Erasmus+ after serving 2 1/2 years in the local board of AEGEE-Passau. The third was the moment standing on the stage during Agora Catania and running for “Member of Network Commission” as this set the start for a new chapter in my AEGEE life. Especially in 2017 for me it was my close friend and twin-brother from another mother, Zvonimir Canjuga from AEGEE-Zagreb, who on the one hand finished a great term working in CD and did an outstanding job there and also fulfilled his dream with the EPM Zagreb which he always wanted to bring to life. Regarding the last point I have to mention Marina Klanjčić, who was main organiser of EPM Zagreb and managed the entire event and all the helpers in such an outstanding way that it turned out to be a great success and an unforgettable experience. Last but not least I would like to mention Cindy Voigtländer from AEGEE-Passau, who was the main organiser of our “NWM Passau – Into the Wild”. Cindy was a board member of AEGEE-Passau before me and advisory board during my term. She always showed great interest in the local work and used her experience and expertise to support the antenna. All of this led to a perfectly organised NWM which received great feedback and I am proud and very thankful for her commitment. As you can already guess AEGEE-Zagreb and AEGEE-Passau were the oustanding antennae in 2017 for me because of reasons I already mentioned, but also AEGEE-Bamberg grabbed my attention. They are very active and do a great job with local events, but also their spring Network Meeting – and they show a lot of ambition with PR. I think all projects, WGs and IGs deserve their credit. However I am proud that Jasmin Kaiser from AEGEE-Passau is actively involved in the European Citizenship Working Group. There are different things that could become the highlight of AEGEE in 2018 but personally I am most curious about Autumn Agora Istanbul as it brings a lot of potential but also controversy. If we work together and do a great job we can have an impact with that event like none other in my opinion. My personal AEGEE plans for 2018 are to strengthen and connect the AEGEE network with all I can do in my position as member of Network Commission. For the New Year’s night I will be a helper at the “NYE Winter Wonderland – Magic will find you in BudaPécs” and I cannot wait for it! 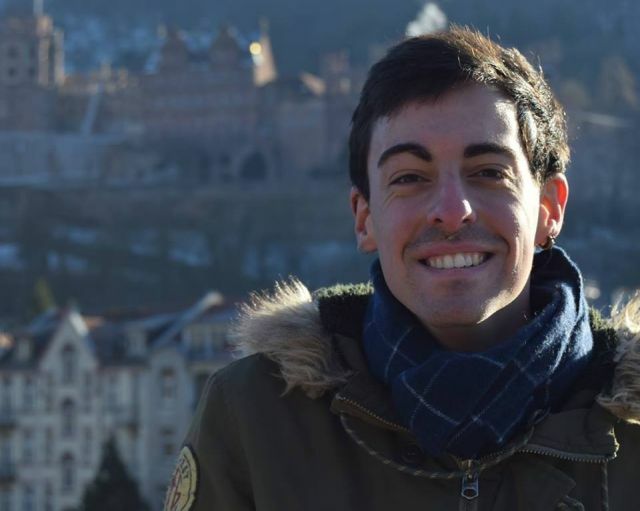 Álvaro González Pérez: The conference by the Civic Education Working Group and AEGEE-Budapest, since it was there were I decided to run for coordinator of the European Citizenship Working Group, which has been my best decision since I joined AEGEE. It was one minute before the deadline! The first name that comes to my mind is without a doubt Jorge Sánchez Hernández. Not only did he a fantastic job in the PRC, but now he is also an outstanding AEGEE-Europe partnerships responsible and, most importantly, he is making Europe on Track more amazing than it already was. Secondly, I will mention Jasmin Kaiser, member of the European Citizenship Working Group. 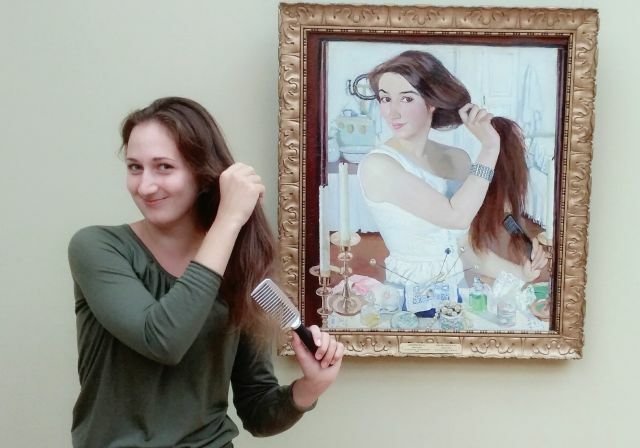 Her work is essentially internal of the Working Group, but her incredible commitment and her ability to take time for us and for AEGEE in general out of where it does not exist cannot remain unmentioned in this interview. All of the Working Groups. Whoever has joined AEGEE in the past year won’t believe that before this term most of the Working Groups were extremely inactive in recent years, with the clear exception of the Civic Education Working Group. The European Year of Cultural Heritage is coming in 2018. Its opening ceremony is taking place in Milano, precisely while I am answering these questions. One of our aims in the Working Group is to spread its celebration all around the network with the aid of other European bodies. Finish my term as ECWG coordinator with the satisfaction of leaving an actual legacy, and to ensure that future Working Groups do not have to start from the scratch as Equal Rights, Youth Development and European Citizenship had to do. 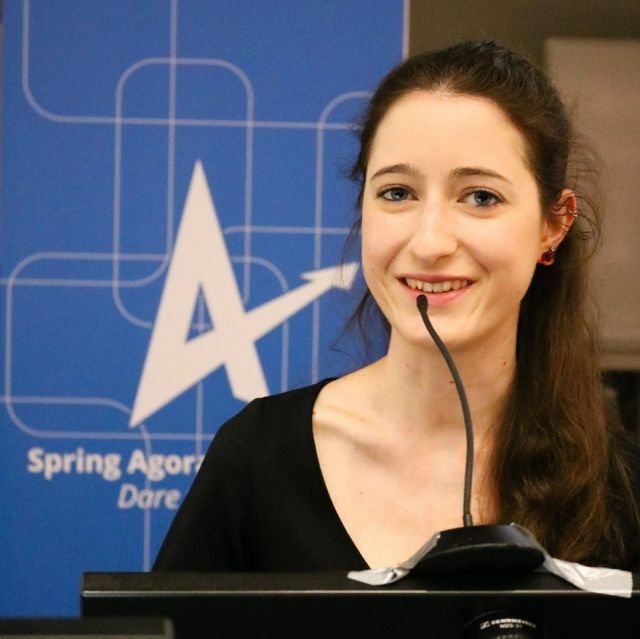 Lila Quaile: I have two highlight moments in AEGEE for the year 2017. The first one was joining AEGEE. After my Erasmus in Torino, I couldn’t leave the city without becoming an official AEGEE member. I didn’t want to lose this international atmosphere. So in June I became an AEGEE-Leuven member. After the summer, I came back to Paris and started working on reviving AEGEE-Paris in collaboration with the Network Director, Marco Daniele, and our Netcom, Laura Pérez Alvarez. My second AEGEE Highlight was being elected as the Présidente of AEGEE-Paris. It demands a lot of work, but at the same time is an incredible experience. Starting from the scratch allows us to rebuild the antenna based on our vision. I’m quite new in the association, for me the most vivid moment was Agora Catania. It was my first Agora and even my first AEGEE event! It was truly fantastic to see all of these members gather for one special event. My everyday-life just stopped and I lived in an AEGEE bubble for five days, and this was magical. Since I joined AEGEE in June it’s hard to say who has been an outstanding member for the whole year. But I would like to name Ilknur Demir from AEGEE-Ankara and her work with POLIG. 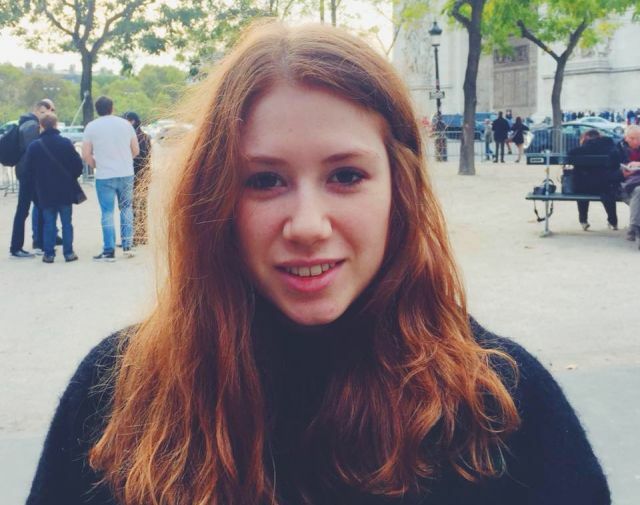 AEGEE needs people like her to improve the members’ knowledge on our political environment. Also special thanks to Marlène Rene from AEGEE-Lille and her work with the Eastern Partnership Project, she will rock at EPM Yerevan, I’m sure! For sure Sustainability and Environment will be the main topic in AEGEE during 2018, thanks to the Europe on Track Project and its collaboration with SEIG. I’m really glad about it, and there is a lot of things to improve in AEGEE in order to make it more environmentally-friendly. However, I also would like to see an AEGEE more political. AEGEE is a political association, therefore we need to improve our member’s awareness about our political environment. It’s what we are trying to do with POLIG, in collaboration with others antennae. What are you personal AEGEE plans for 2018? 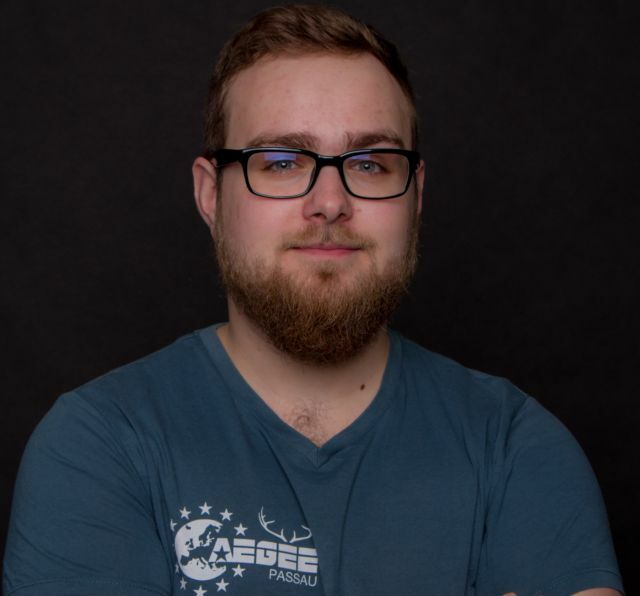 I’m a member for less than a year, I didn’t experience a lot of events so far, and therefore I really would like to participate in AEGEE events as much as I can. Also, I am really interested in the European Level of our association, for now I am an active member of POLIG and I’m planning to continue this collaboration in 2018. We will have some very interested events coming up… stay tuned! On the local level, I will continue to work on the development of AEGEE-Paris, bring the antenna closer to local environment and try to recruit as many member as we can. AEGEE needs a proper promotion in France and I hope we will succeed in it. As you may know AEGEE-Paris is organising a New Year’s Event: “Midnight Kissing in Paris”. As one of the main organizers I will be spending my New Year’s Eve in Paris with 30 others AEGEEans. It the first event that I am organizing, I am sure we will rock it. I’m really excited about it and can’t wait to be on the 29th of December! One last thing, I would like to thank my amazing organizing team, without which the event could not happen!